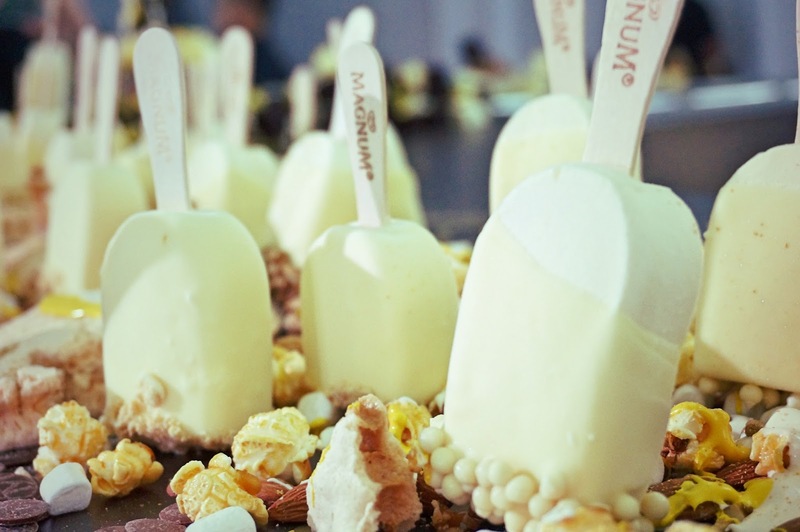 Can I get some cheers for the white-chocolate lovers out there? 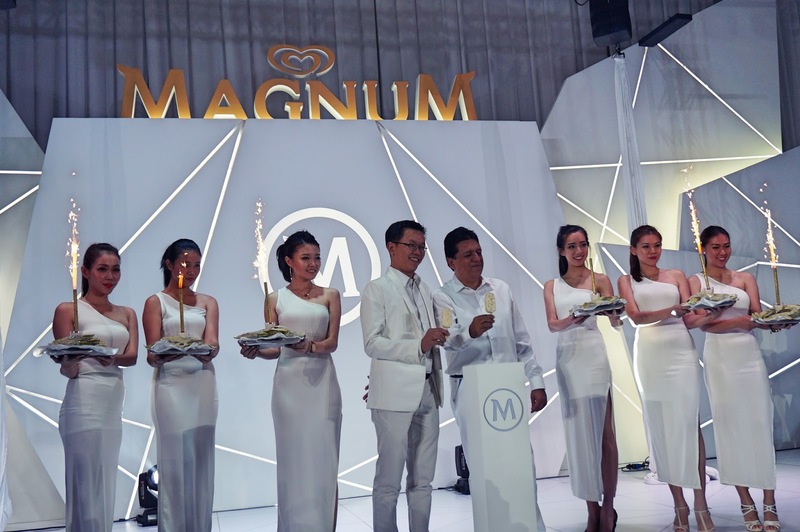 Behold, the new creation of Magnum has arrived. And can you believe it? 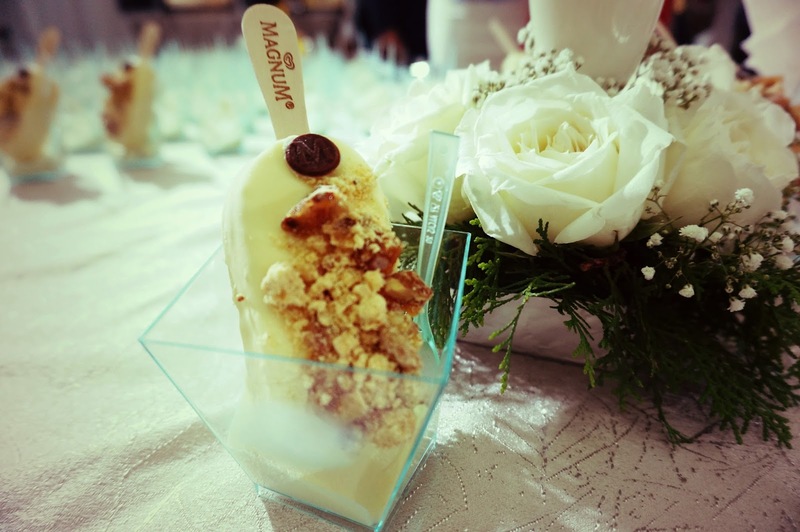 It is all in white. 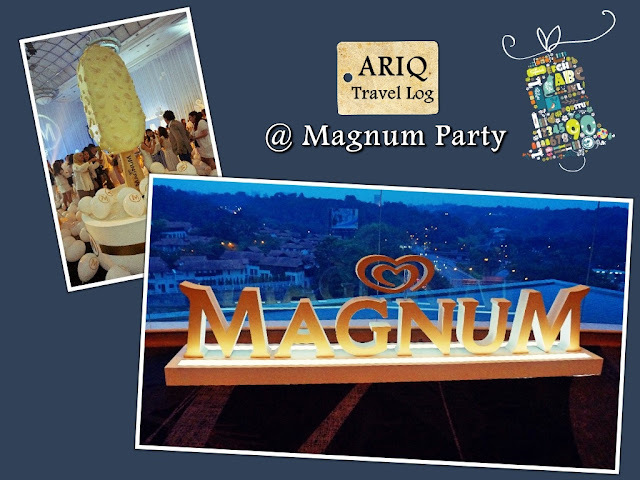 Just last week, Magnum has released their new flavor - white chocolate with heavy load of almonds. 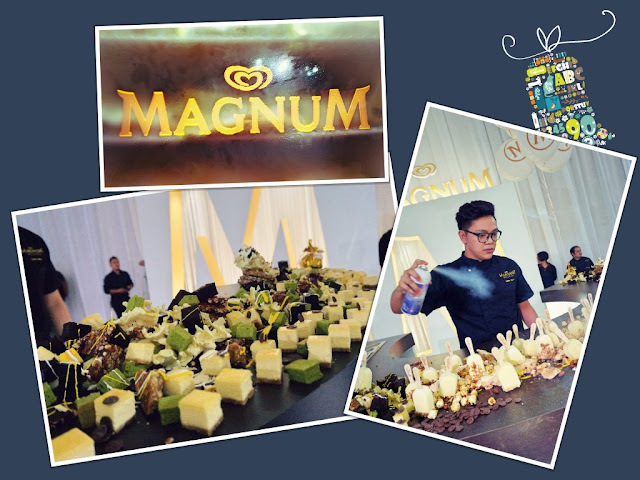 Each bite tastes as if you were being lured into an imaginary world and white chocolate by Magnum is the only thing you need in life. Sounds spooky and exaggerated, but it makes sense. Anyways, I had a good time in that new-launch party. Magnum sure knows how to organize an awesome party. 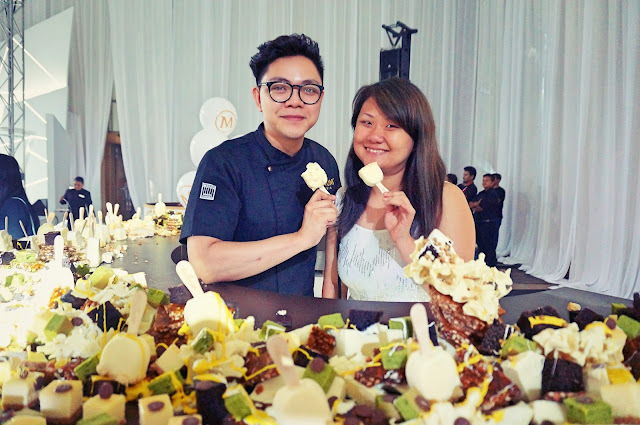 Free flow of white Magnum and abundance of desserts. There were free alcohol as well. I didn't have any, though. Never did, never will. There you go, my mentor again - Wendy Pua. 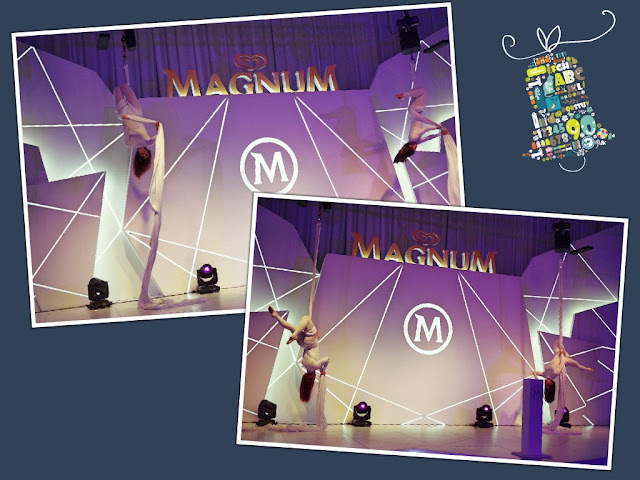 We attended the party together. It was a nice meeting after weeks of being busy with work. We got to meet up and I truly appreciate that this party could provide us the opportunity. My last photo, I was in my office attire, with my adorable sling-bag. I just got out from work. 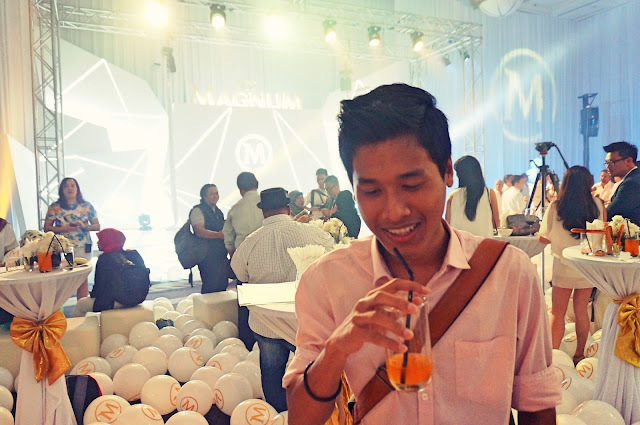 But yeah, blogging is just way to fun to miss out. It worth the fatigue.